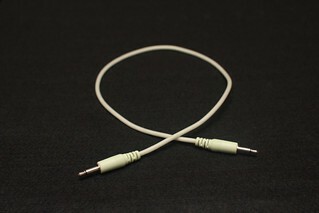 One 3.5mm mono jack plug to an inline MIDI socket. 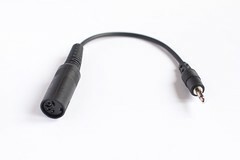 Wired for use with the ES-5 or ESX-8GT when generating MIDI from the Silent Way ES-4/5 Controller plug-ins. 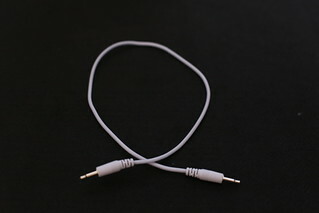 Two 3.5mm mono jack plugs to an inline DINsync socket. 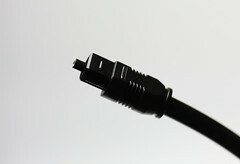 Wired for use with the ES-5 or ESX-8GT when generating DINsync from the Silent Way Sync plug-in. Due to supply problems, the DJ-1200 is currently unavailable. Equivalent cables and kits are available from ALM Busy Circuits (here), here (Muffwiggler forum) and here (eBay). 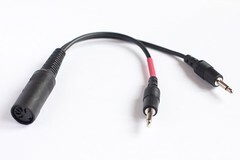 Combine with a mono 3.5mm to 1/4" adaptor to give a 1/4" TRS to TS cable. Green: 150mm, 300mm, 500mm, 650mm, 800mm and 1200mm lengths. Blue: 150mm, 300mm, 500mm and 650mm lengths. 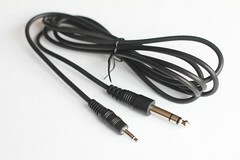 15cm optical cables, ideal for connecting an ES-8 to an ES-3 or ES-6.